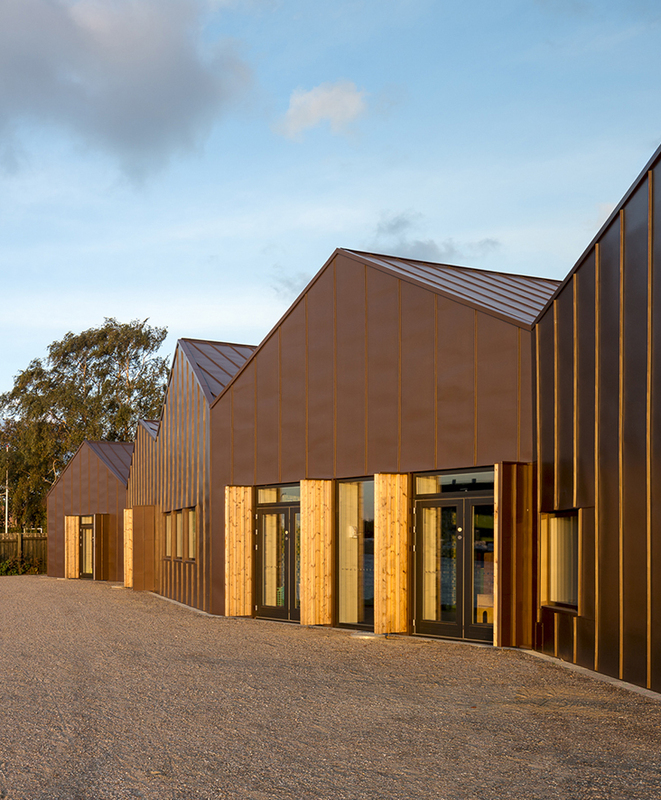 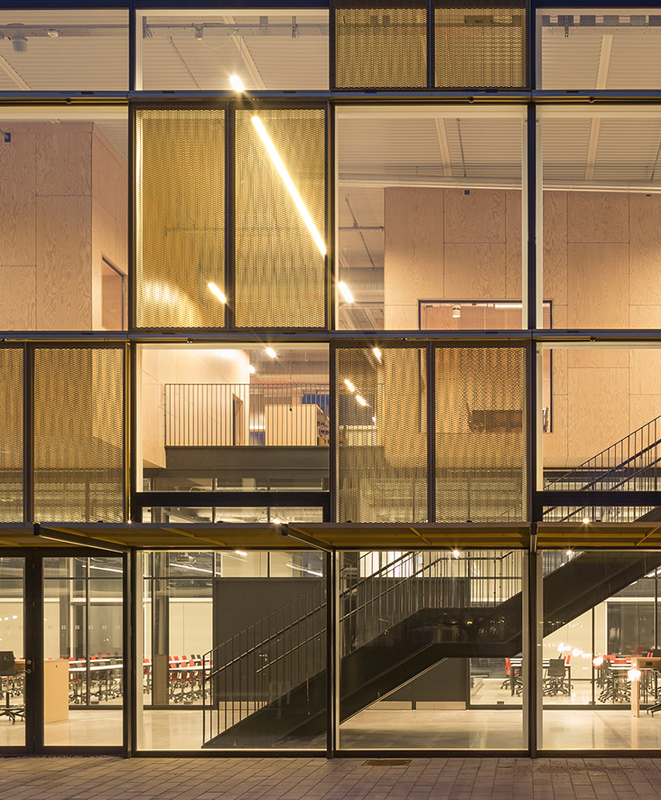 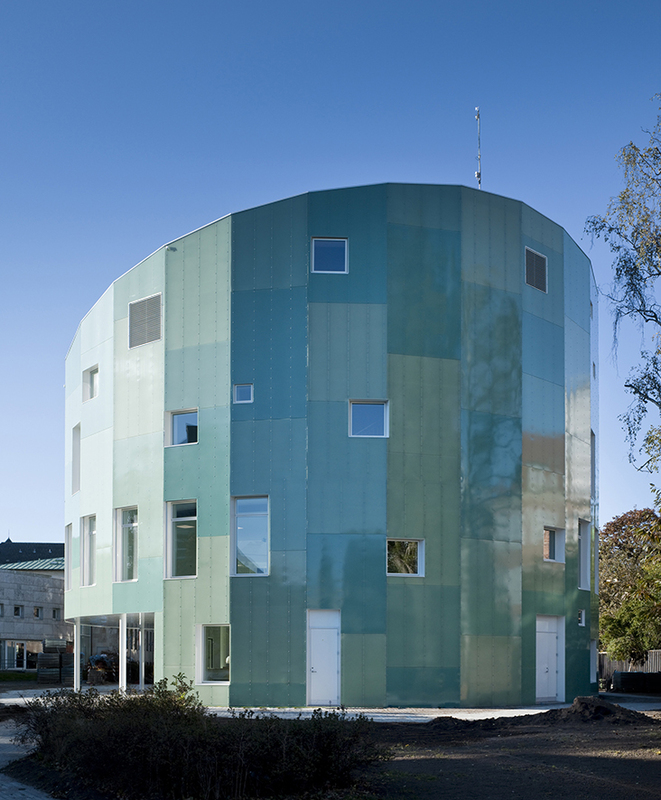 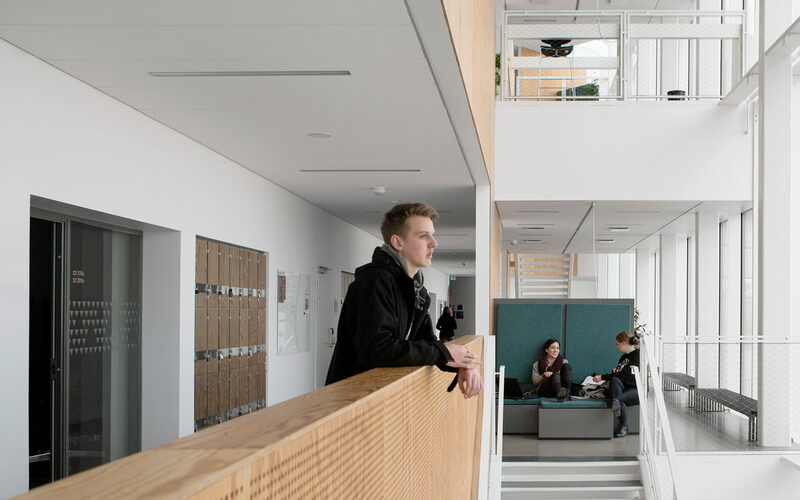 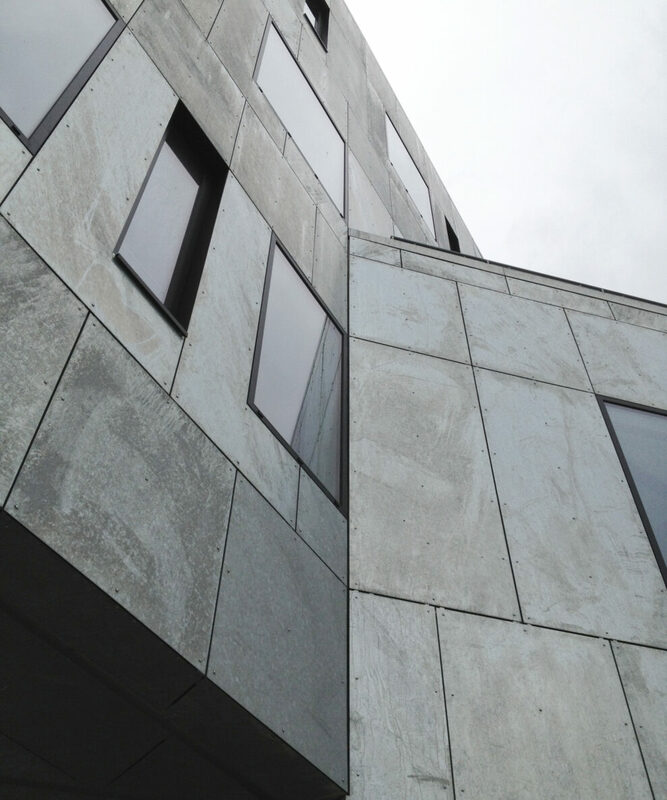 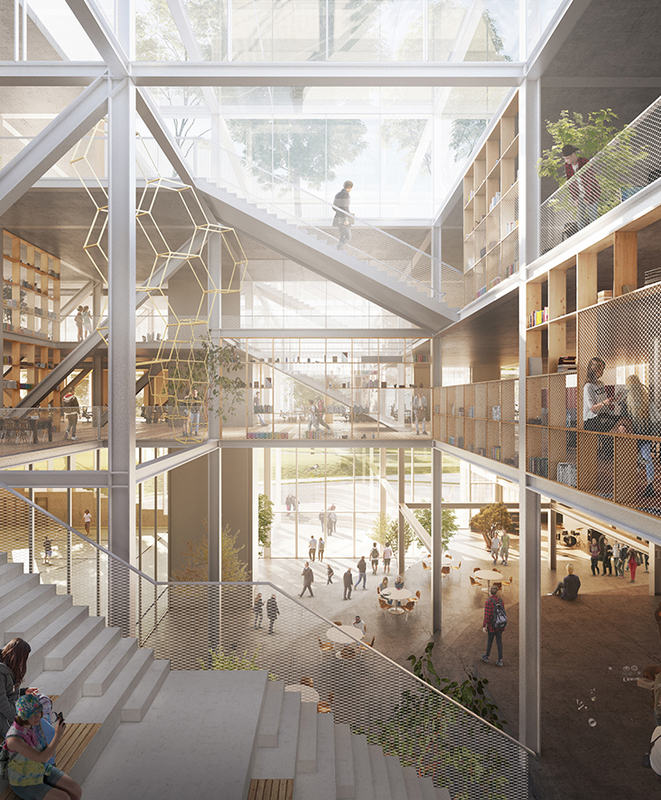 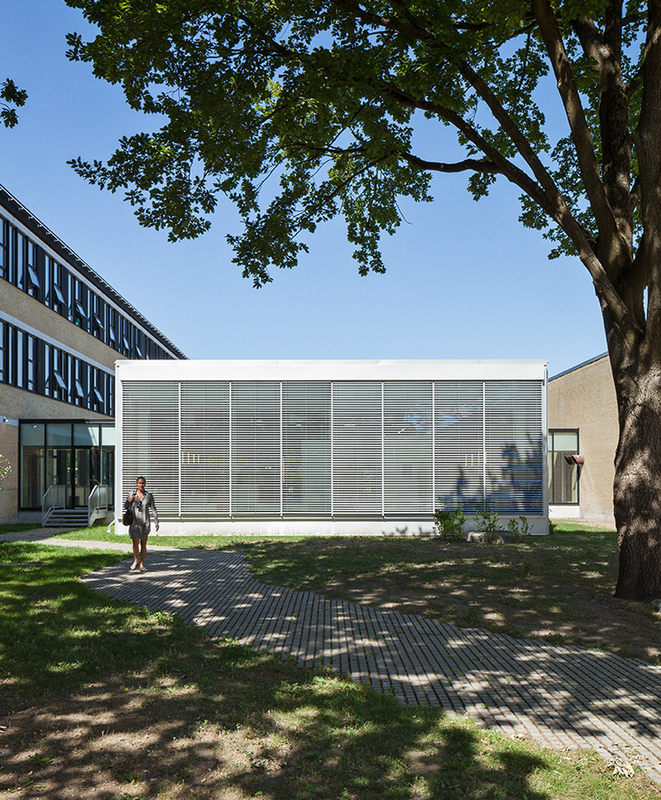 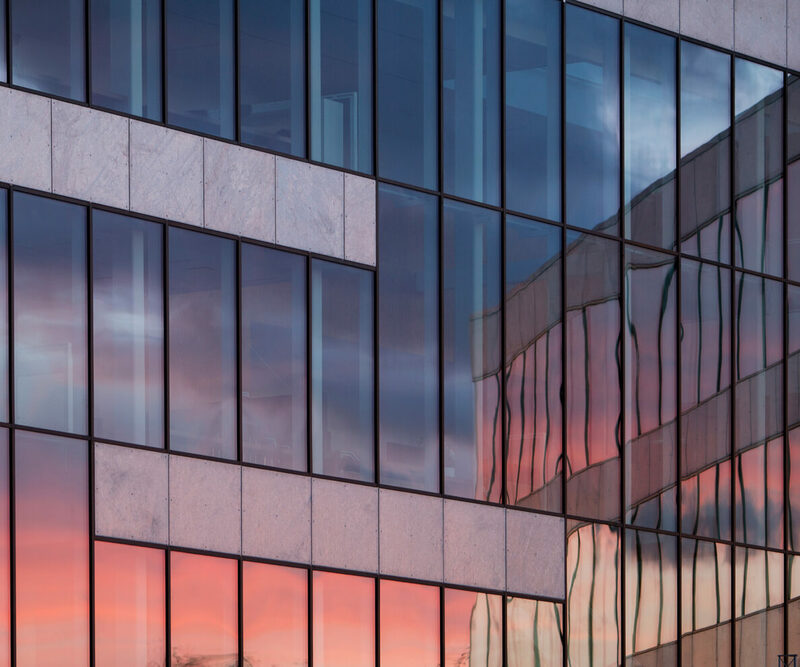 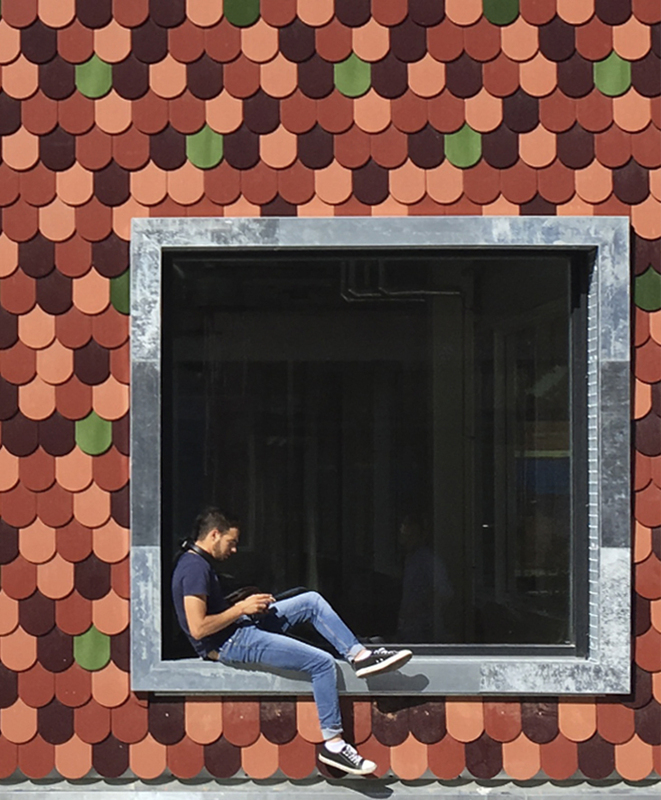 Through a north-facing glass façade, a fluid transition is created between Roskilde Technical School and the pulsating life of ‘Musicon’, Roskilde’s new urban district. 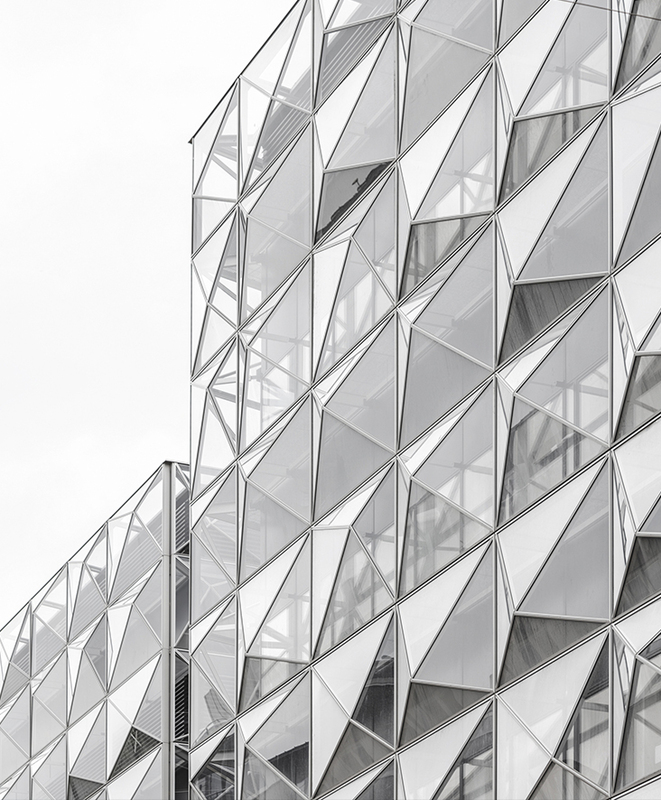 The multi-faceted façade is made of galvanised metal and creates a dynamic interplay with the changing colours and varying intensity of the light. 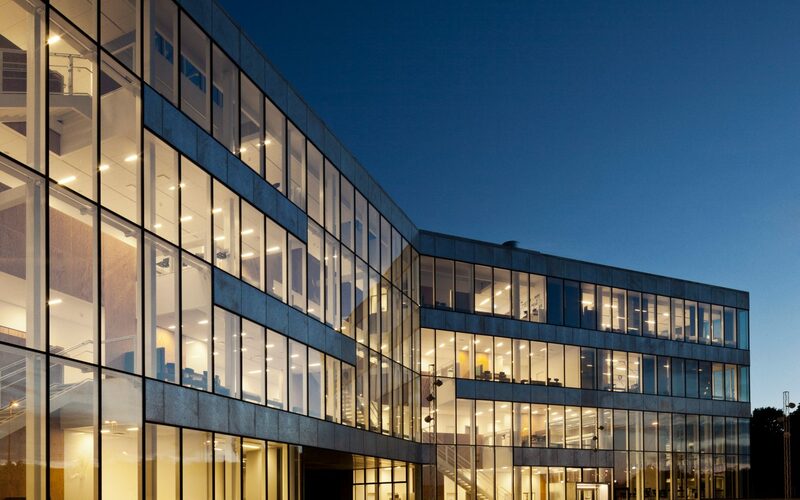 The prism-shaped building is home to web-integrators and graphic designers. 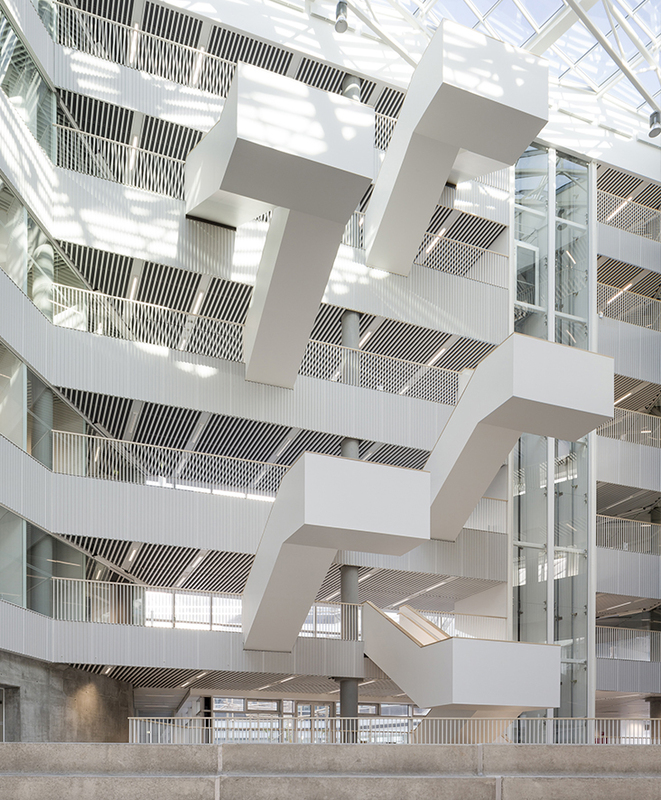 From the main entrance, there is a clear view of the galleries on each level, behind which the building’s functional interior opens. 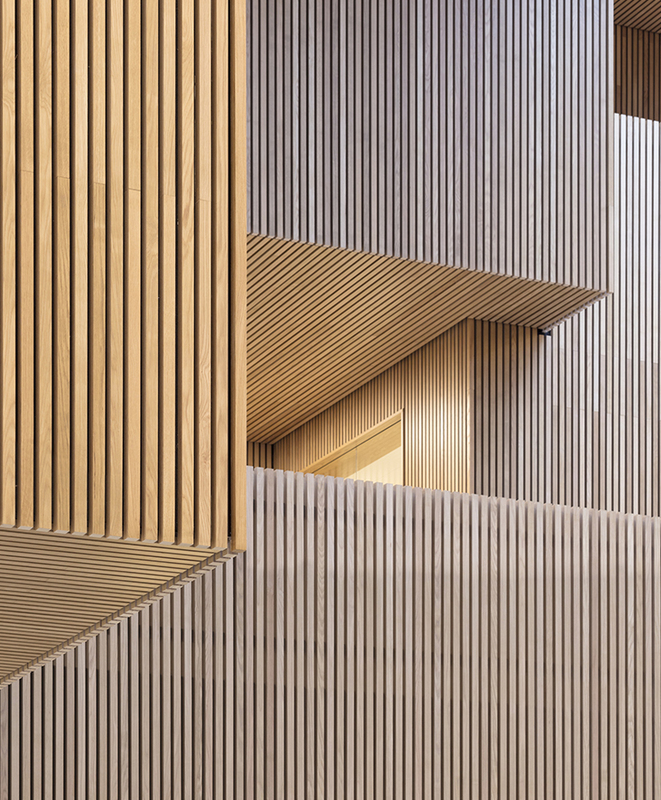 Lightweight stairways rise through the open space revealing wood-clad balconies with open study zones designed for group work. 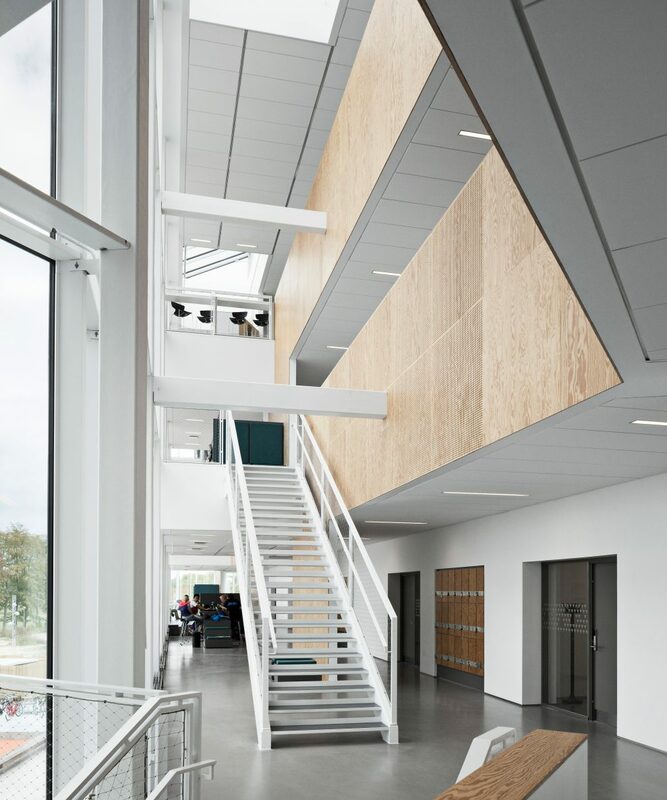 This is also where the workshop-style classrooms are a located, designed to challenge the idea of the classroom as a rectangular room with a blackboard. 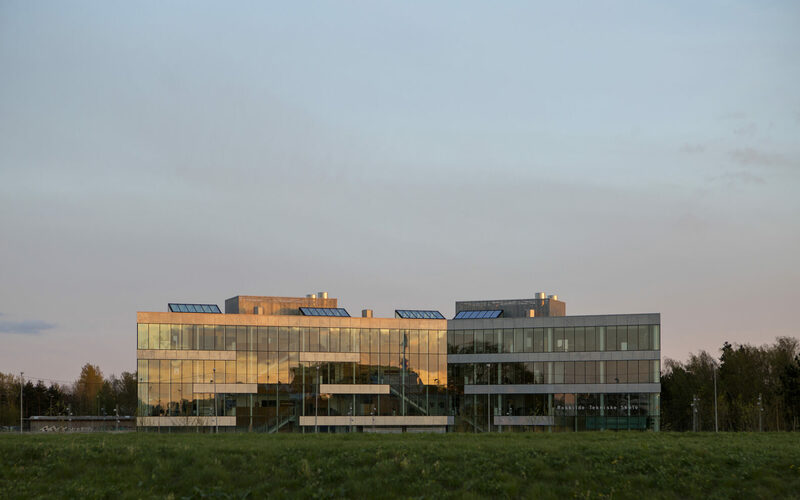 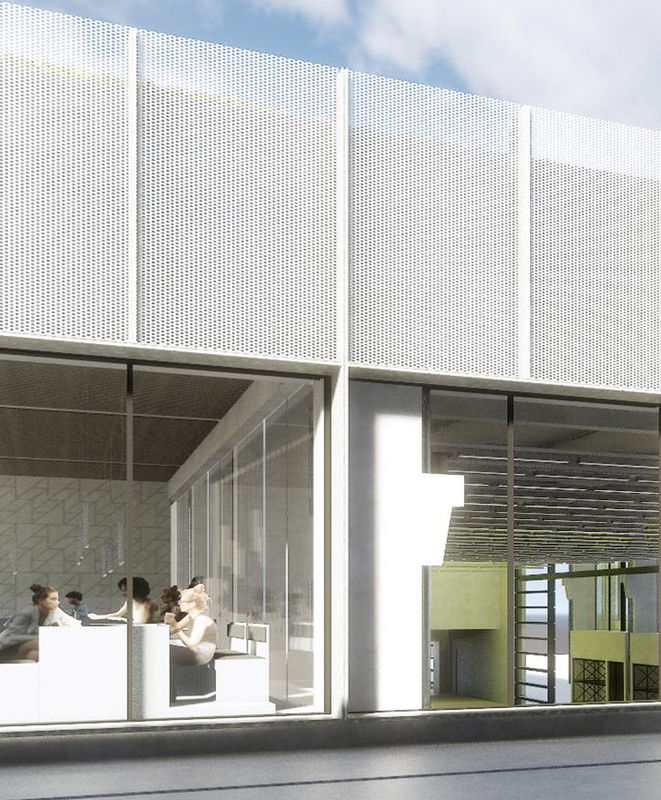 At the top of the building are two large roof terraces offering magnificent views of the local area – in the summer it is possible to cast your glance across the motorway to the massive ‘Roskilde Festival’.